The Noank Aquaculture Cooperative was founded in 2000 by a group of small scale oyster farmers working in the Town of Groton. 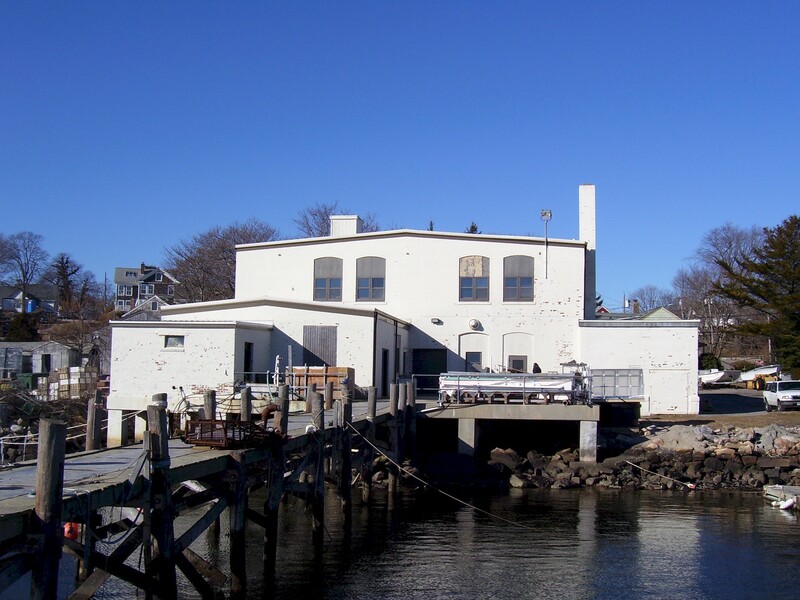 We began leasing our base of operations at 100 Main St., Noank, CT in 2005. The Co-op is leasing an old State lobster hatchery from the Town. Our operations include a shellfish hatchery, nursery, our boat dockage, packing facility, tanks for wet storing product and a shop. The oyster farming activities fit into the small, historical, maritime village of Noank. Noank has a rich and colorful fishing and lobstering history. Co-op members have been working closely with the Groton Shellfish Commission; a group of energetic volunteers who have accepted the State mandated responsibility of managing the shellfish beds in the Town of Groton just East of the city of New London. We also work with the Stonington Shellfish Commission, whose waters border the State of Rhode Island. The NY branch of the Noank Co-Op operates out of the Peconic Land Trust’s Shellfisher Preserve in Southold. This building allows for growing operations to continue throughout the year. We began taking New York members in 2003. Currently, our members farm shellfish in the Peconic Estuary. 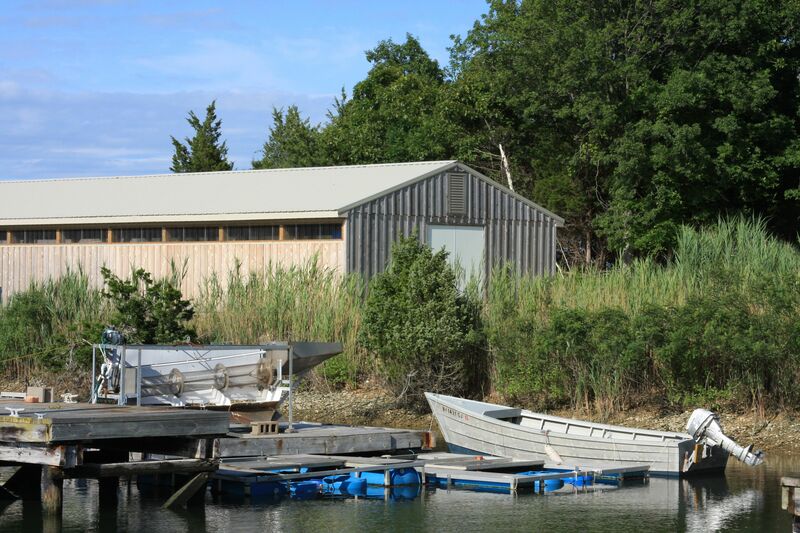 We base our operations at the former Shelter Island Oyster Company oyster nursery, which was gifted to the Peconic Land Trust. The site has been named Shellfisher Preserve. Nearly fourteen of the original twenty-four acres of the original parcel have been preserved by the Trust for shellfish aquaculture and research. The unique barns and water systems were specifically designed for aquaculture in the 1960’s by John Plock Jr. We have an underground hatchery and a 120 ft. long “Shellfish” barn with a tidal creek running through it. The Shellfish barn allows us to comfortably harvest product even in the winter when the bay is frozen and unaccessible to boats. We also have dock space and nursery systems at Shellfisher Preserve.